Clinical Naturopathic Medicine integrates the holistic traditional principles of naturopathic philosophy with the scientific rigour of Evidence Based Complementary Medicine (EBCM) to support conventional practices and principles. As your team of practitioners, we aim to integrate our Naturopathic services with your oncology team, to provide education, information and transparency, and to provide you with clarity and empowerment about your options. Naturopathy follows the principles of doing no harm, using the healing powers of nature, treating the person as a whole, education and prevention. It is a comprehensive approach that aims to address the cause of conditions, rather than focusing on its symptoms. In Oncology Care, our goals include reducing the side effects of your medical treatments, enhancing the effects of chemotherapy and other treatments, reducing risk of recurrence, and supporting you. 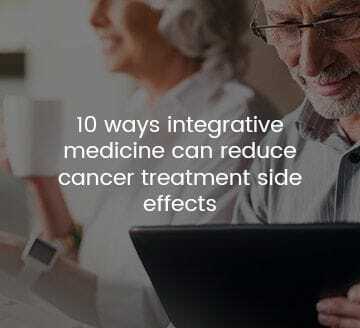 Treatment modalities include Western Herbal Medicine, Nutritional Medicine, as well as diet and lifestyle interventions, and we only recommend those therapies that have been researched and shown to be beneficial in Integrative Oncology Care.